CHICA is a company created by two young entrepreneurs who have vast knowledge of the luxury gourmet world and are passionate about the Mediterranean, whom felt the need to develop a unique product in its kind for the premium market. At CHICA we believe in pleasure, in the importance of living a time that is fleeting. We believe in the sublimation of senses, in the beauty and the singularity of every moment. Absolutely convinced that the essence of the most beautiful things lies in diversity, we use these blends to make life more sensual, with an expression only a few chosen ones will be able to appreciate. 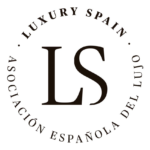 CHICA is a member of the Luxury Spain (Asociación Española del Lujo) and our products were approved by Luxury Spain as a gourmet Spanish brand.